Stir in the sieved flour and mixed spice. Next add the fruit mix, grated apple and ground almonds. Mix well. Finally, add the breadcrumbs and bottle of stout. Stir well, cover and leave to stand overnight. Transfer to a 3 pint greased pudding bowl. Steam for 5 hours. Put two long strips of tin foil crosswise on work top or table. Place roasting tin on foil. 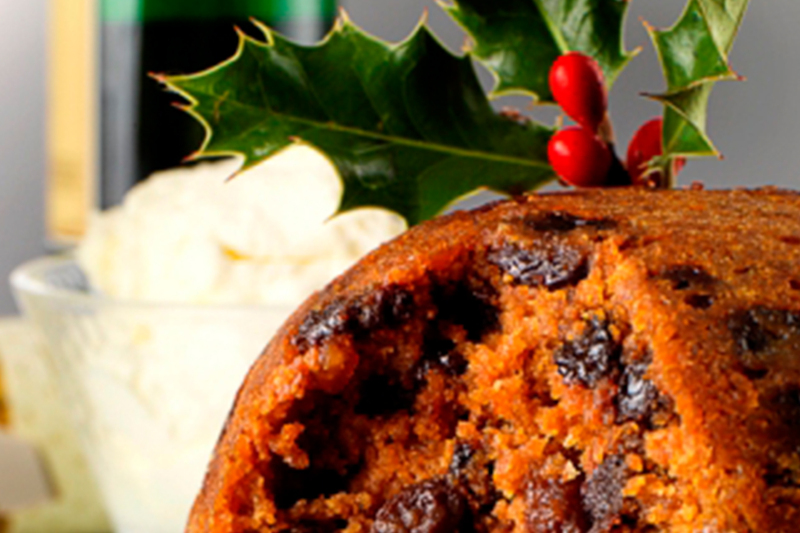 Sit pudding bowl into the tin and fill with boiling water to within 1″ of top of tin. Then bring tin foil around to form a parcel, which should be airtight to prevent any steam escaping. The quantities may be doubled if more than one pudding is required.